Think YouTube is just for gamers? Think again. YouTube is the second most-visited site on the web, with more than 1.9 billion active monthly users. Mastering it is a must for any digital marketer. But how do you make the most of this fast-growing platform? While advertising offers lots of paid ways to promote your channel, it isn’t the only option. Here are some of our favorite tricks for optimizing your YouTube content. Each of these tips is simple, effective—and, better yet—100% free. A great YouTube channel starts with great SEO. And great SEO starts with understanding what users are searching for. It turns out, people don’t just look for videos on YouTube; they use Google too. 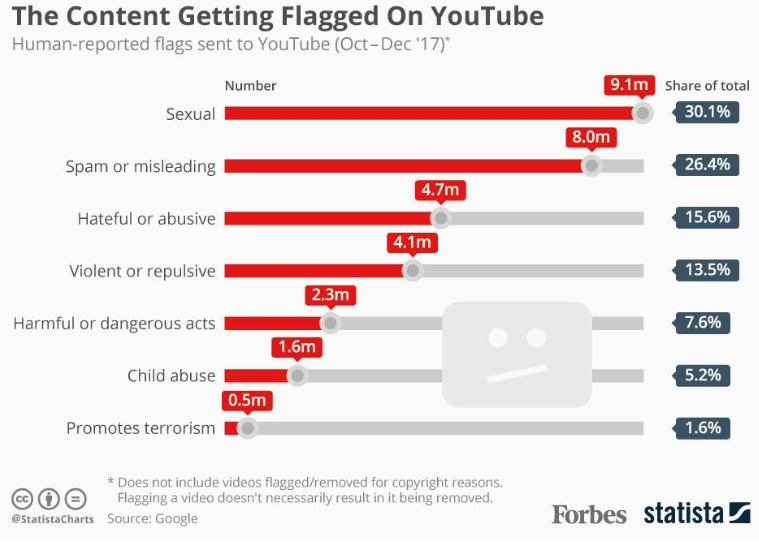 “YouTube” was the second most popular search term in 2018. Google now prioritizes video over other content for many searches. There’s no set rule for which keywords will help your YouTube video rank well. But a bit of reverse-engineering can go a long way. 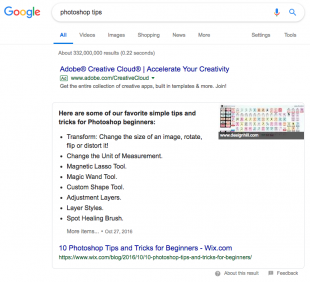 Identify possible keywords with a tool like the Google Ads Keyword Planner. Google one of your options. Scan the Search Engine Results Page (SERP) for each keyword. 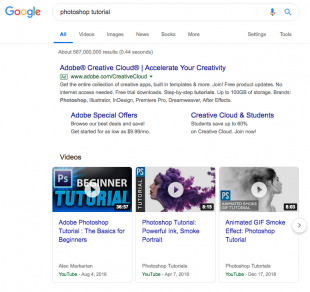 Are the top-ranking results videos or written content? Tweak your keyword and try again. Try adding words like “How to” or “Tutorial” if you’re having trouble getting video results. Choose a keyword that prioritizes video and suits your content. For example, Photoshop Tutorial” turns up far more video results than “Photoshop Tips”. The title is the first thing users see when they find your content. And if it isn’t punchy, it might be the last. Keep it short and sweet. The most popular YouTube videos tend to have the shortest titles. Stick to 60 characters or less or some of your title may get cut off when displayed. Include your keyword(s) in the first half of the title to avoid losing valuable information. Most online readers focus on the beginning of the sentence and skip the rest. Engaging doesn’t mean clickbait. The best headlines offer an obvious benefit or create an emotional reaction. Clickbait is tempting, but can damage your channel’s reputation in the long term. Still can’t come up with a title? YouTube’s autocomplete feature is a great way to find popular keywords. Start by searching for a particular theme or topic, and see what title YouTube suggests. Thumbnails matter, maybe even more than titles. That’s because our brains are hardwired to notice visuals first. We process them in less than 13 milliseconds, according to one MIT study. YouTube produces automatic thumbnails for all videos, but they can be blurry or out of focus. To boost views, create an eye-catching custom thumbnail for every video you post. Which of these two thumbnails are you more likely to choose? The blue graphic below is brighter, more eye-catching, and much more clickable! Many YouTubers skip the profile section and get straight to content creation. But a compelling profile is one of the easiest ways to promote your YouTube channel—and boost your SEO. Be consistent. Use a similar color palette, writing style, and layout as you do on your website and other social channels. Optimize your YouTube channel description. This is a great place to add keywords. YouTube penalizes “tag stuffing,” but including a couple of keywords can go a long way. Keep viewers coming back for more. When and how often will you post new content? Let fans know your schedule—then make sure you stick to it. Include contact info. You never know who might want to reach you. Make it easy for them and you could land some great partnerships. You can also mention keywords in the video itself. But just like with text, people lose attention quickly. Use a couple of keywords during a brief intro for best results. Chillhop Music’s descriptions make the most of timestamps. Cute emojis too! These rules also apply to features like tags and categories. Only include tags in the “tags section” of your upload—not the video description. Add one or two categories to help YouTube understand who to recommend your video to. This may seem obvious, but it’s still worth saying. Great content is the best way to keep viewers engaged—and the most effective way to rank well in search. That’s because YouTube’s ranking system prioritizes the viewer’s experience. What problem does this video solve? Will it improve viewers lives in any way? 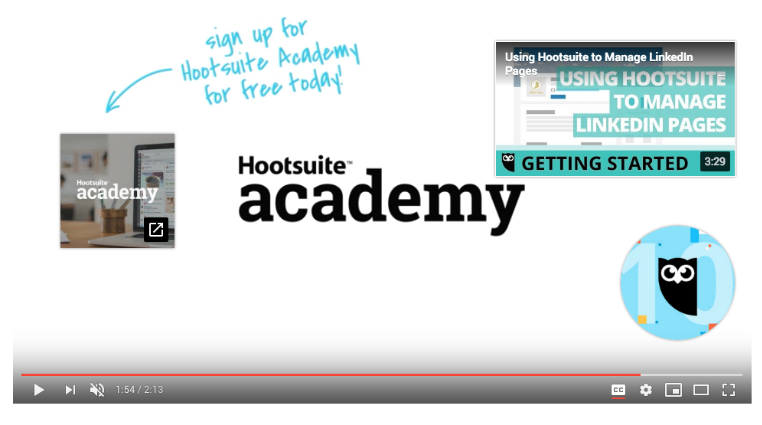 Our “How to Use Hootsuite in 13 Minutes” video is one of our most popular to date. By breaking things down step-by-step, we helped viewers master a new tool. Provide real value, and you’ll be rewarded with real engagement. Poor video quality can undermine even the best content. So make sure your content looks professional before you post it. Use a decent camera, do a sound check before recording, and learn some basic editing skills. Of course, not everyone is a natural filmmaker. 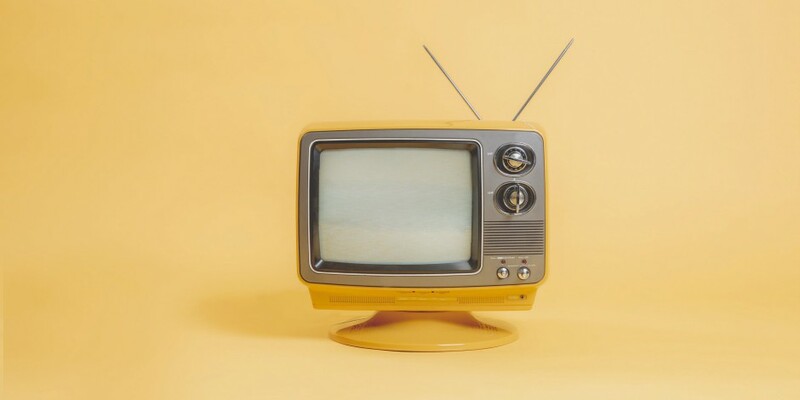 Brush up on these best practices for social videos if you’re a little rusty. Real engagement doesn’t end at content creation. The most successful YouTubers constantly monitor and interact with their fans. Respond to viewers’ comments—even the negative ones—and “heart” your favorites. Post response videos. Use analytics to identify your top fans and show them some extra love. Your viewers—and your subscriber count—will thank you for it. Gamer MattShea created this video in response to his “biggest hater”. It got a lot of attention: both for Mattshea and his adorable nemesis. Audience Q&As are one of the most effective ways to build community. Ask your subscribers to send you questions by comment, email, or tweet. Then create a video to address them. By showing your fans that they matter, you’ll boost watch time, view counts, and engagement. Plus, Q&As can be lifesavers when you’re out of fresh content ideas. This 13-year-old YouTuber did a Q&A to celebrate hitting 100,000 subscribers. She gets things started with a cute non-alcoholic toast. Contests are another great way to get your audience involved. With a single video, you can collect viewer data, encourage likes or comments, and gain subscribers. Blendtec is famous for its “Will it blend?” videos. They were one of the early adopters of the YouTube contest, with great results. YouTube is all about finding your niche and building your following within it. Subscribe to channels that target a similar audience as you. Watch, like, and share their content. Leave thoughtful comments or mention them in your own videos. Not only will this give you a better sense of what your competition is up to, it can also help you reach new viewers. Brand partnerships are another way to broaden your reach. They can also help you come up with new content when you’re stuck for ideas. But there’s one golden rule to any successful partnership: Be authentic. Identify brands that reflect your personality and your audience’s needs. Does it make sense to partner with them? Will it provide value to your viewers? If not, keep looking. Inauthentic videos can do more damage than good. This collaboration between Tasty and Sun-Maid is fun, relevant, and useful. YouTube is cracking down hard on inappropriate content due to a rising number of underage users. Don’t post anything you wouldn’t want your little brother to see. Otherwise, your video will get flagged and removed from YouTube’s recommendation feature. If you’re ever unsure, double-check the community guidelines first. Consistency pays off. Post videos on a regular schedule to keep viewers coming back to your channel again and again. Choose a catchy, keyword-friendly name for your series for best results. Create a custom thumbnail to give the each video in the series a similar look and feel. VICE’s “News Tonight” keeps subscribers engaged with new content every day. 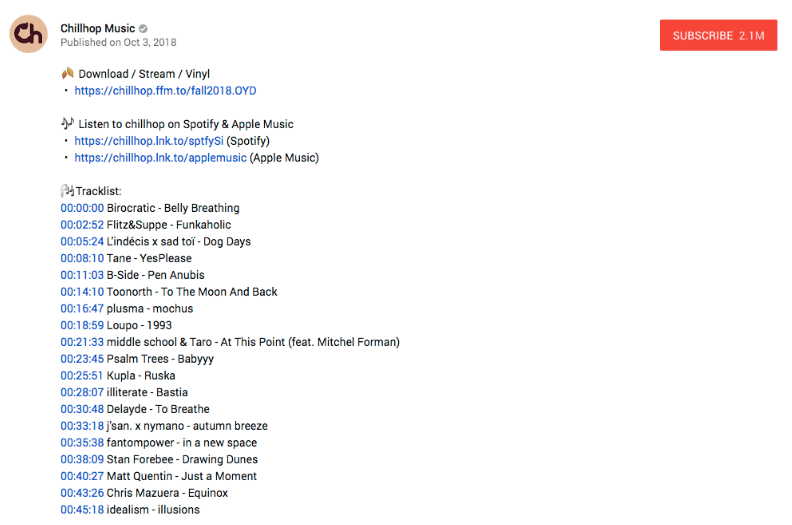 Playlists are a great way to get people watching more of your content in one go. That’s because these collections are a little addicting. As soon as one video ends, the next begins. Playlists also help with discoverability. Videos in a playlist are more likely to appear in YouTube’s Suggested Videos column. Plus, playlist titles are a great place to add keywords. On your channel page, group existing videos together under a common theme. This keeps viewers on your channel and not your competitor’s. Collect videos from other relevant influencers or partners. This signals to your viewers that you’re “in the know” and encourages them to share your playlists. LEGO’s “How To Make…” playlist keeps viewers watching for hours. YouTube is the most popular of all live stream platforms. Take advantage of this by creating content that really engages viewers. Webinars, Q&As, and events all work well live. Browsing YouTube Live is another great way to get inspired. Include an awesome CTA in your video to make the most of your hard-earned audience. Maybe you want to push your viewers to like or share your video. Maybe you want them to click through to your website. Whatever the “ask,” the best CTAs are always clear, compelling, and urgent. Direct Host-Mentions: Look into the camera and verbally tell viewers what you want them to do. Video Descriptions: Ask viewers to comment, share, or like your video in the description itself. End Cards / Screens: Add a customizable screenshots to the beginning, middle, or end of the video. These powerful visual cues add punch to your CTA. 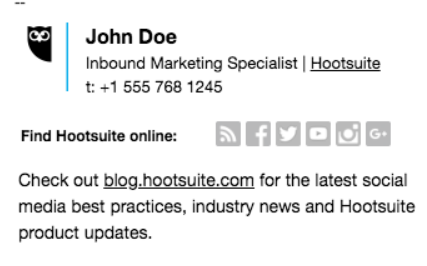 We used this end screen in our “Hootsuite Product Update December 2018” video to boost Hootsuite Academy sign ups. Reach out to audiences outside of YouTube to build community around your channel. Find ways to incorporate videos into your blog, email newsletter, and other social media accounts. Different social strategies work well for different platforms. Tools like Hootsuite can help streamline this process—especially if you’re using lots of different social media. Brush up on the recommended video specs for each social platform, then optimize your video accordingly. Again, make sure your brand’s overall look and feel is consistent everywhere. And make sure you use different captions every time you post. GIFs are a fun way to promote YouTube videos on Twitter. We're not crying, you're crying! ???? Does your website have blog? Embed videos in your posts, along with searchable transcriptions. This will increase both video and page views. You can also use your blog to generate new content ideas for your channel. Use Google Analytics to find which posts get the most traffic. Is there a way to create a video on that topic? Embed the end result into the post itself. This will add value to your blog while encouraging readers to check out your YouTube channel. Email may be old school, but it’s effective. 66% of marketers say that email is well worth the investment. Create an email list of YouTube subscribers. Then, give them a heads up every time you post new content. It’s an easy way to increase your video’s view count early on. This, in turn, will kickstart YouTube’s recommendation algorithm. You can take advantage of your email signature too. A simple link to your YouTube channel below your name is a non-pushy way to gain subscribers. We recommend using a simple icon rather than a long, nasty-looking URL. You know how domain authority affects page authority? The same is true for videos. Take advantage by promoting your channel as a whole, as well as your individual videos. Push for subscribers and link to your account wherever you can. This will help your videos rank higher in YouTube and Google searches. Win some extra eyeballs by anticipating what people are looking for. Use holidays, popular movies, and trends as opportunities to post relevant content. You’d be surprised how well this strategy can work! Our “Game of Social Thrones” video put a new spin on the popular TV show. It’s one of our most popular videos. Upload a few timeless videos that your subscribers will return to again and again. Popular evergreen content includes how-to guides, tools and resources lists, stat collections, tip roundups, and more. This kind of evergreen content can rank well for years, increasing traffic and boosting SEO. YouTube’s analytics are powerful. Use them wisely! Take a deep dive into your data to understand your audience on a deeper level. How old are they? What languages do they speak? Which video styles do they prefer? Use this information to create content that truly captures their interests. When Ryan Higa first posted “How to Sing Like Your Favorite Artist,” it was a huge success. He waited 3 years to release the sequel, but it’s now one of his top performing videos. 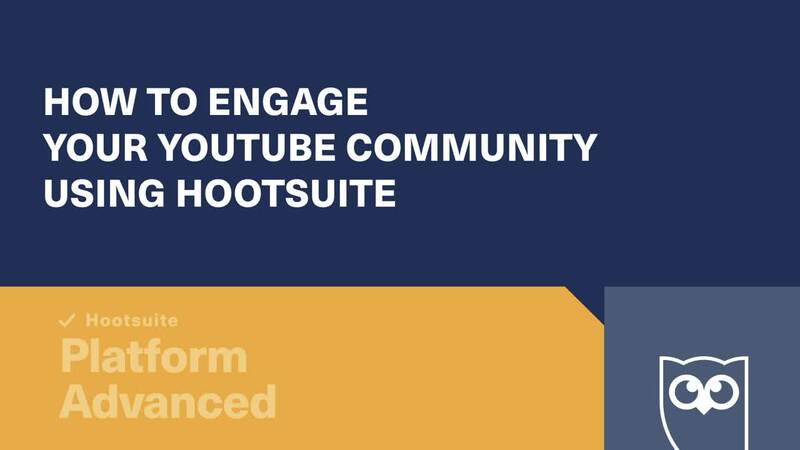 With Hootsuite, you can easily upload, schedule, and promote your YouTube marketing videos across multiple social networks from one dashboard. Try it free today. Alice Fleerackers is a Vancouver-based writer, researcher, and editor. She's passionate about stories, science, and spoon carving—not necessarily in that order.